LOUISVILLE, Ky.–(BUSINESS WIRE)–FirstBuild, a global co-creation community backed by GE Appliances, a Haier company, brought together teams of designers, programmers, engineers, students, makers and other innovators for the 4th Annual 2018 “Hack the Home” Hackathon. With more than $10,000 in cash and prizes at stake, competitors spent more than 35 hours ideating the next great product for the home. 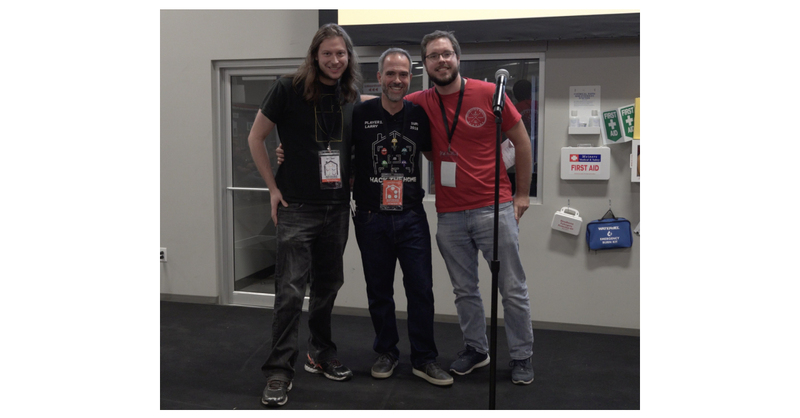 Josh Weil, Eric Ott and Alex Vance, a trio of local makers competing in their third FirstBuild hackathon, invented a locking drawer inside a refrigerator designed to keep medications, alcohol and even food safely locked away from children. Team Borderless, comprised of engineering experts and makers from Mexico, Colombia and the U.S., integrated sensor technology into a washer that warns owners through a series of lights if there is too much weight, helping consumers avoid unbalanced loads while also saving water and energy from an overfilled machine. A group of GE Appliances Edison engineers built a dishwasher handle that allows warm air to flow through to quickly dry wet hand towels. Veil, a team comprised mainly of students from Columbus College of Art & Design (CCAD), won a $500 sponsor prize from GE Appliances in the Cooking category for its cooktop concealed in a countertop. Toast-e, a warming drawer for clothing, won a Samtec sponsor prize for using the company’s connectors and cables to bring its idea to life. Team members represented a diverse group of colleges, including Florida International University, Grand Valley State University in Michigan, as well as the University of Toledo and the University of Dayton, both in Ohio. Team Fresh took home FirstBuild’s “Community Favorite” award for rethinking the space inside the refrigerator with its slide-out stack of pantry-style shelves. The event was also made possible by sponsors like Renesas Electronics, 3M Adhesives, U.S. Steel and Samtec who were on site to support the teams with advice, innovative materials and supplies to build their designs. Members from FirstBuild’s newest location in India participated in the hackathon remotely and presented their products via video conference. Students from: University of Kentucky, University of Louisville, University of Cincinnati, Ferris State University, University of Florida, University of Illinois, Virginia Tech, Iowa State, Auburn and Purdue University participated. FirstBuild is a global co-creation community backed by GE Appliances, a Haier company, that harnesses the power of the maker movement to change the way major home appliances are conceived, designed and manufactured. With centers of excellence in Louisville, Kentucky, Shanghai, China, and Hyderabad, India, as well as an online community of more than 30,000 individuals, FirstBuild quickly delivers better products that improve the lives of consumers. For more information about how to get involved, visit FirstBuild.com.